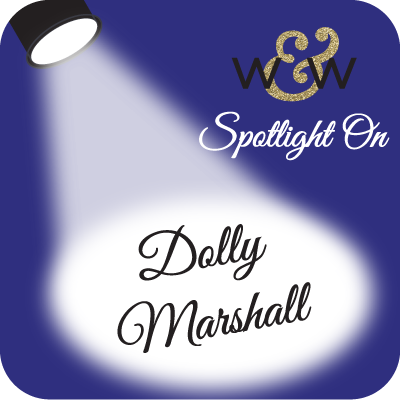 winnie & walter blog: Spotlight On...Dolly Marshall! We are starting a new feature where we invite w&w family members who have really made an impression on us from their projects on our join in to win! page, our challenges, on social media and/or our Playdate contests. We adore that you share your lovely w&w projects with us and we are always trying to find new and fun ways to show our appreciation. 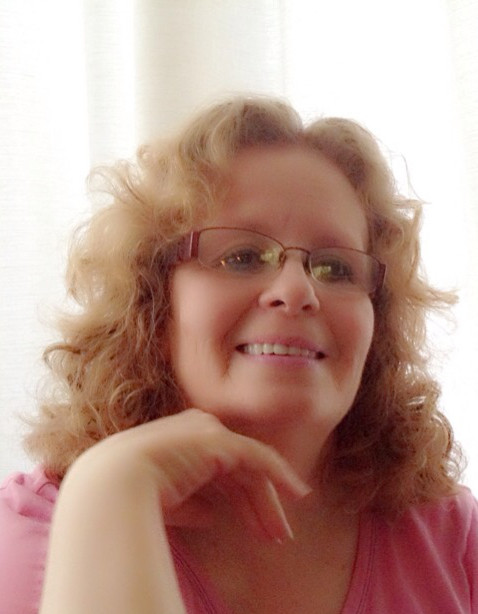 My name is Dolly, but you might know me by the name scrapthat, my board name I came up with way back when CK magazine had one of it's first message boards. I have been a crafter,of one kind or another,literally as long as I can remember. My family are all crafty in their own hobbies. I come from a line of florists so my favourite accents,you will find on many of my cards and scrapbook pages would be flowers. I also have a passion for learning so much of my work evolves around techniques. I have over 500 scrappy/crafty blogs in my reader, which is how I came to learn about a new stamp company a little over a year ago. I was reading Vanessa's blog and she spoke of a new company and their first release...and I have been following Winnie and Walter and loving their products ever since then. You really can say just about anything you want with Winnie and Walter stamps. Since this is a month full of love, Valentines and telling people how you feel about them it's a good time to do just that! The beauty of Winnie and Walter stamps is the ability to customize your messages. The library of words is getting bigger and bigger every release! and I LOVE it! I'm actually kind of nerdy about these things. I keep a master list of all the words in all of The Big and The Bold sets, I also keep a list of words I hope Shay and Julie will one day add and each release I go through and check off the ones on my wish list. Now if I don't find the exact word I need and there is no word to substitute it for I may get creative with the existing words. Another great thing is the ability to tie the outside of your card to the inside by continuing or adding a complimentary sentiment inside your card. Don't forget that these little gems can express your feelings not only on cards, but the envelopes, Layouts, and Off the page projects allowing you to share your one of a kind message with your recipient! The digital elements and the cutaways help in creating those one of a kind projects! 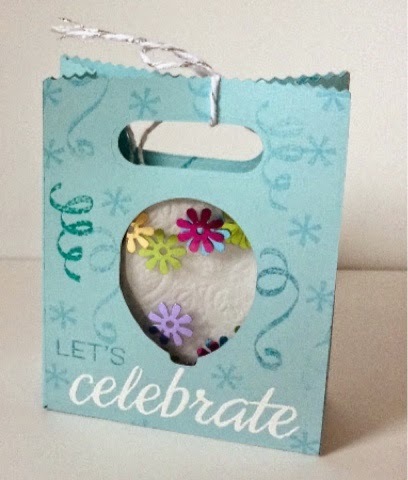 In this project I cut a balloon out of my little bag, (if you want a party hat or cupcake or ??? use that! Winnie and Walter have a growing selection of cuts to choose from both digitally AND in the cutaways to choose from. After you have made you cut do any stamping you want on the bag.To create the shaker I simply cut two pieces of acetate that are larger than your window cut out (this could be clear packaging, or page protectors or Vellum) seal three sides with tape or washi tape fill with your sequins and then tape up the remaining side now you can tape or glue your acetate piece in behind your cut out area,and finish your assembly. The stamps used are from The Party...I LOVE this set! And there you have a one of a kind little project. Here are some cards I made to share with all of you today,and had a blast doing so! How cool are the flowers from The Party??! I do believe this is the only card I had to make a customized word for...the word toy, meaning thinking of you in text talk. (I could have used the actual words from The Big, The Bold and You but I was trying to be more in keeping with an iMessage. Now in closing I would like to Thank Shay and Julie for the honor of Spotlighting me, I had such a great time! 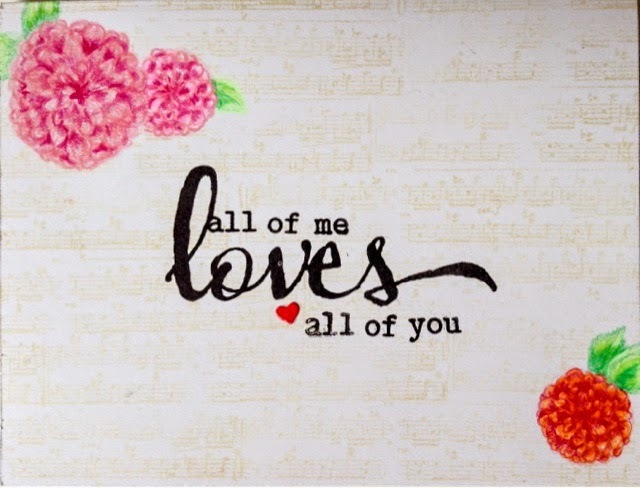 And I would like to invite you to pop over to my blog scrapthat-myheartmyart.blogspot.ca where I will be sharing my list of all the words in the Big and Bold sets to help YOU make your one of a kind sentiments more easily also! Congrats, Dolly! Great cards, TFS! Cool projects from Dolly - great idea with the word list! So many pretty cards,Dolly. Especially love the watercolor with the flowers. Thank you so much ladies for your kind compliments! So good to get to know Dolly a bit better! I've always loved her cards since I found it here in various W&W challenges. Thanks so much for taking the time to share your word list with us! Dolly, what a gem you are and how wonderful to learn more about you, your passion for crafting and your love for W&W products in your post. You've showcase cards...oh my! Absolutely gorgeous! I, too, love W&W products, and at the moment, an order of new goodies is heading my way. I live in Canada, so the wait time is a bit longer, but that's okay...anything great worth having is worth waiting for! Fabulous post! Great cards and bag. 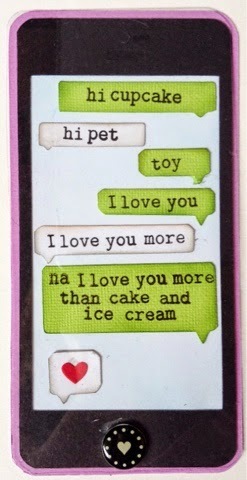 I also like Your text term 'toy'. So cute in this case. Very impressive! Love all you fantastic projects! 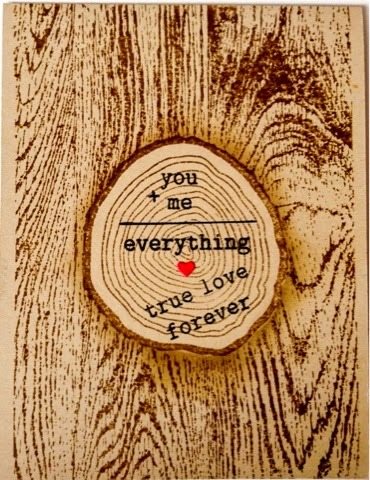 The wood "stamp carvings" are such a cute idea! Super cute projects!! So clever! What a wonderful post, Dolly ... your enthusiasm for W&W shines through every word (teehee!) ... great projects and such a creative text speak card! Loved W&W right from the start too! 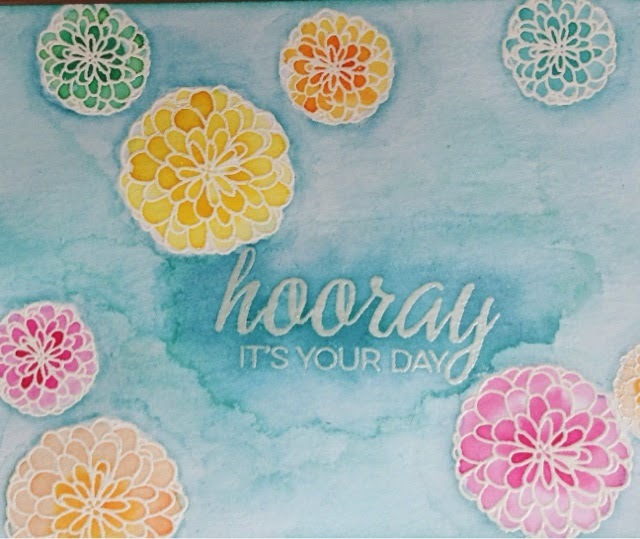 Congrats on the spotlight Dolly ..Your project and cards are simply amazing ..My fave is the last one with text messages ..what a fun way to customize the sentiment and words :) ..Thanks for sharing !! wow!! so pretty!! love them all!! congrats on being the spotlight Dolly!! CONGRATULATIONS on being under the Spotlight Dolly!!! 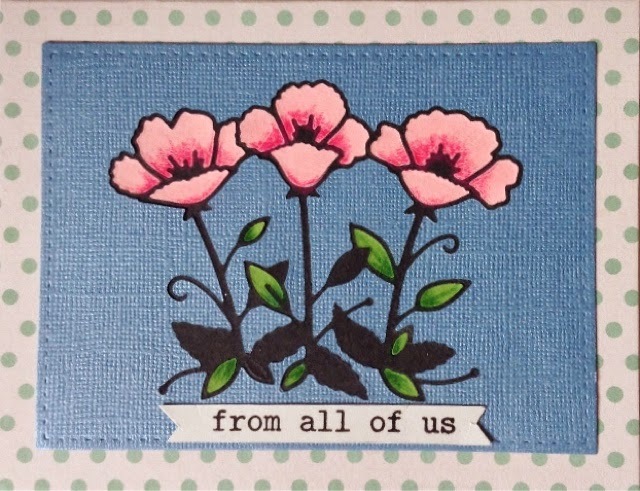 I LOVE your STYLE, FABULOUS designs, such PRETTY inking and CLEVER stamping!!! Very nice to see Dolly's creations..the iphone is really cute and so is the tree cross sections. 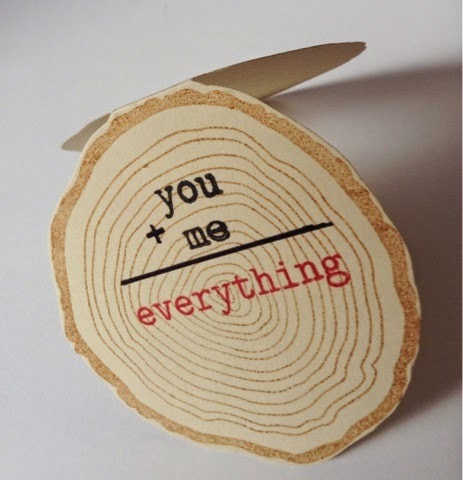 WOW - great and awesome card ideas and very cleverly done - ALL of them!!! Congrats on being on the spotlight over at winnie & Walter and love, love all your projects. thanks for all the inspiration. Thank you so much for stopping in and for the sweet comments!